The Oppo R9s is one of the best phones you can find in the midrange market, especially for the photogenic generation that loves taking selfies and basically photos of just about everything. Released in October 2016, the Oppo R9s has not yet made it to many markets across the globe so far. In fact, this phone is currently available in a handful of markets led by China, Singapore, Taiwan, and recently Australia joined the party. One of the things that have helped Oppo phones gain such a huge following in Asia and other parts of the world is the fact that it puts a lot of focus on the camera. With the R9s, you’ll love what you get in terms of cameras, both the front and rear. But Oppo is not alone in trying to put emphasis on the front camera of midrange phones. 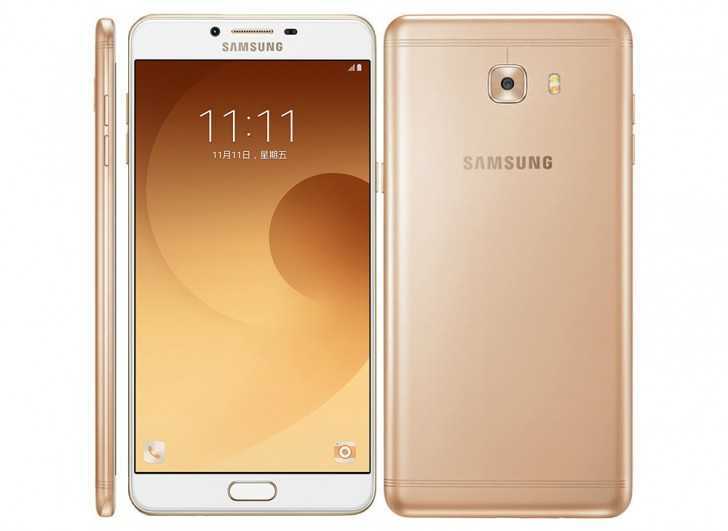 Late last year, Samsung unveiled its first 6GB RAM smartphone known as the Galaxy C9 Pro. In addition to being the first Sammy phone to ship with such a huge RAM, the phone also happens to be the first to come with a selfie camera of 16MP. This wasn’t going to end with the C9 Pro, as it later turned out in the beginning of this month. As at the time of this writing, a handful of markets can purchase the new Samsung Galaxy A7 2017, a magnificent phone that brings in an impressive design language (almost like the flagship Samsung devices) and like the Galaxy C9 Pro, this phone has a 16MP selfie shooter. In case you didn’t know, this is the same megapixel count you’ll find on the selfie camera of the Oppo R9s. So, what separates these three 16MP selfie cameras? It all comes down to software optimization and camera features. The two Samsung Galaxy phones’ selfie shooters have a lot in common. You will come across the same aperture of f/1.9 alongside the ability to record up to 1080p videos. On the other hand, the Oppo R9s has a slightly smaller aperture of f/2.0 and can also record up to 1080p videos. With the larger aperture, it means the two Samsung Galaxy phones take in more light thus ensuring users get much better photos even when the lighting is not the best. This is better than the f/2.0 aperture on the R9s. On the back of the phones, you also find another 16MP shooter. Here, there are some real differences between the three. Where the Galaxy C9 Pro comes with an aperture of f/1.9, phase detection autofocus (PDAF), dual-tone LED flash, HDR, panorama and face detection, the Galaxy A7 2017 has the same f/1.9 aperture, autofocus and a single LED flash. Still, you get the likes of HDR, panorama, face detection and ability to record 1080p videos, just like the C9 Pro. As for the Oppo R9s, the back camera has a 16MP lens with a larger aperture of f/1.7, comes with PDAF, but like the Galaxy A7 2017, you get a single LED flash. Other features such as HDR, panorama, touch focus and face detection are also on board. However, the R9s wins the battle by adding the ability to record up to 2K videos, something the other two don’t have. Now, coming down to other specs and features, these three phones have quite a good combination of these two aspects to match with their price tags. 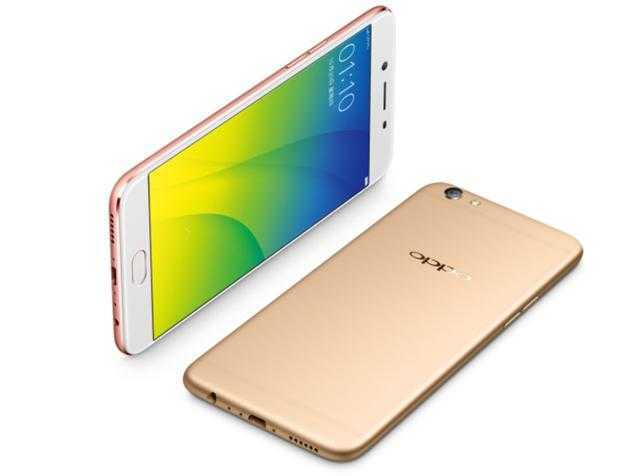 In terms of size, the Oppo R9s is the smallest thanks to its 5.5-inch AMOLED screen, however, this phone is the thinnest, measuring just 6.6mm thick as compared to 6.9mm of the C9 Pro and 7.9mm of the A7 2017. As for these two, you get a 5.7-inch Super AMOLED screen on the latter and an even bigger 6-inch Super AMOLED panel on the former. In terms of resolution, the trio has the same Full HD, which is sharper on the smaller Oppo R9s thanks to the better pixel density of 401pp. The other two have a pixel density of 386ppi (Galaxy A7 2017) and 367ppi (Galaxy C9 Pro). 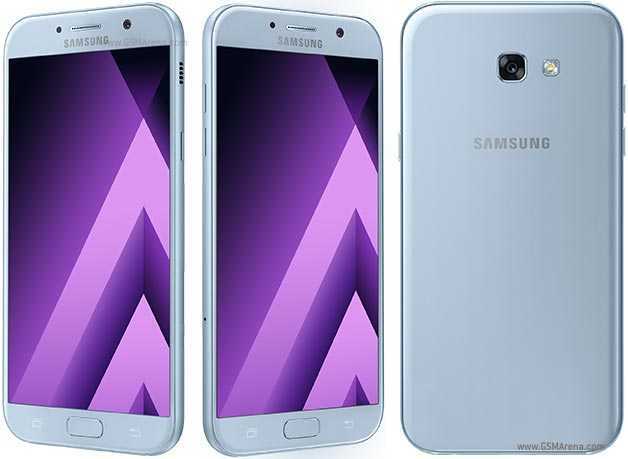 From the three, it is only Samsung Galaxy A7 2017 that has an Always On Display feature similar to the Galaxy S7 and S7 Edge. Under the hood, it gets even better. The phablet Samsung Galaxy C9 Pro has a Qualcomm Snapdragon 653 processor on board, clocked at a speed of 1.95GHz. This is paired with an Adreno 510 graphics processing unit (GPU) and a monstrous RAM of 6GB, the first for the company. In terms of storage, the C9 Pro has 64GB, which can also be expanded via a microSD card of up to 256GB. Looking at the Galaxy A7 2017, the inside has a Samsung-made Exynos 7880 processor that is clocked at just about the same speed as its counterpart – 1.90GHz – and is paired with a Mali-T830 MP3 GPU alongside half the amount of RAM used on the C9 Pro. In terms of storage, you also get half the amount offered on the C9 Pro, but you still get a microSD card slot that can accommodate up to 256GB. From the look of things, the Oppo R9s seems to be the low-end model from the three, at least on paper. The phone is powered by a Qualcomm Snapdragon 625 processor that is clocked at a speed of 2.0GHz and has an Adreno 506 GPU alongside it. This chipset is weaker than Snapdragon 653, but it still gets decent support from a RAM of 4GB. In terms of storage, the R9s matches the Galaxy C9 Pro with its 64GB offering. Similarly, you get a microSD card slot that can accommodate up to 256GB, but this also doubles as a SIM 2 slot, which is not the case for the other two. Despite being midrange phones, the trio has a fingerprint scanner on the front, mounted on the home button. However, it is only Samsung Galaxy C9 Pro and Galaxy A7 2017 that come with a USB Type-C port. As for the Oppo R9s, you get a microUSB port 2.0. Given the huge size of the Galaxy C9 Pro, you also get a similarly huge battery capacity. The phone has a monstrous 4000mAh unit that supports fast charging technology. On the other hand, Samsung Galaxy A7 2017 has an equally big battery unit, but slightly smaller than the C9 Pro – a 3600mAh unit. Still, there is support for fast charging technology like its counterpart. The Oppo R9s has the smallest battery, probably due to its smaller size as well. But given that it has more pixels to power, the 3010mAh battery unit on board could mean you get the shortest battery life when compared to the other two. All three phones are powered by Android Marshmallow out of the box. In terms of pricing, the Galaxy C9 Pro is the priciest, valued at about $470. On the other hand, the Galaxy A7 2017 can be yours for about $450, same price as the Oppo R9s. But as noted earlier, these three phones are currently available in select markets, at least for now. Which phone do you prefer from the three? Feel free to share your thoughts with us via the comments. Note: All specs and features courtesy of GSM Arena.